Have you moved to a new house and wish to enhance the home security? Want to restrict access of old tenants into your apartment? Most of you may think lock replacement is the only option for all these problems. But there is still an easy and cost-effective way where you need not change the locks but can just rekey it. So your locks will not be compatible with the old keys anymore and only the new keys can work with it. Central Locksmith Store provides reliable rekeying services to people in Los Angeles, CA area. There are instances when you wish to maintain key control when the possession of a property has changed recently. You may not know if the former owners of the house have shared their keys with someone. In such cases rekeying is the best possible option to restrict your locks from being opened by any other keys. 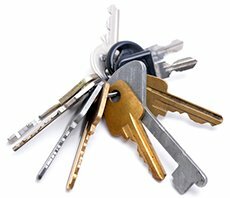 Sometimes you will be in a dilemma as to whether you need to replace locks or rekey them. If your locks are too old to be rekeyed then you just have to replace them. You can contact Central Locksmith Store, and our professional locksmith team will analyze the lock and give you a perfect option. Some people wish to do all household repair by themselves unless and until they are not able to solve it. But still there are certain tasks that definitely need a professional hand and rekeying is one such task. Though rekeying seems easy, when you start doing it by yourself you may either end up damaging the lock or the new keys might not open the locks. In either case, you will then have to replace the locks, so it is advisable to approach an efficient locksmith from Central Locksmith Store and get work done from a pro. Our team has all cutting-edge equipment to rekey your locks perfectly.